WASHINGTON, Feb 11 2014 (IPS) - Watchdog groups here are warning that a deal has been struck that would see Chinese investors fund a massive, contentious dam on the Congo River, the first phase of a project that could eventually be the largest hydroelectric project in the world. 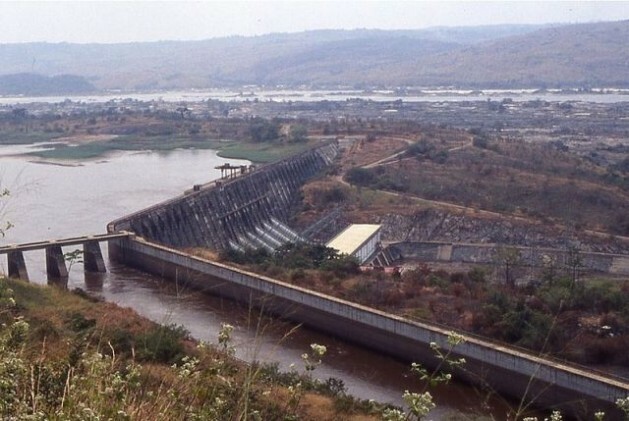 Discussions around the Inga III dam proposal, in the Democratic Republic of Congo (DRC), have been taking place in some form for decades. They have picked up speed over the past year, however, under the auspices of the World Bank, the Washington-based development funder. On Tuesday, the bank’s board of directors were to have voted on an initial 73-million-dollar loan for the project, to be offered through the International Development Association (IDA), the institution’s programme for the world’s poorest countries. Last week, however, that vote was abruptly postponed. Now, civil society groups are reporting that the project may be going forward instead under the World Bank’s private-sector arm, the International Finance Corporation (IFC), with the backing of Chinese investors. Yet critics, who have long worried about the local social and environmental impact of the Inga project, worry that greater involvement by the private sector will result in skewed prioritisation of beneficiaries. “Handing the project over to a private investor will make it even less likely the country’s poor people would benefit from the project,” Peter Bosshard, policy director for International Rivers, an advocacy group, said Monday. Citing multiple sources within the bank, Bosshard says the decision to change the Inga III funding modality appears to have been made between high-level officials from the World Bank, the IFC and USAID, the U.S. government’s main foreign-aid arm, reportedly bypassing the bank’s board of directors. Thus far, none of these institutions have publicly confirmed any deal. As currently envisioned, the Inga III dam would be the first in a series of hydroelectric installations along the Congo River, collectively referred to as the Grand Inga project. This would include a single 145 metre dam, which would flood an area known as the Bundi Valley, home to around 30,000 people. The full project could provide up to 40,000 megawatts of electricity, a power potential that has been eyed hungrily by the rest of the continent for decades. While DRC’s chaotic governance has stymied forward progress on the project for years, the Grand Inga vision received an important boost last year when the South African government agreed to purchase a substantial amount of power produced by Inga III. The 12-billion-dollar dam is now supposed to be built by 2020 and, according to Congolese government estimates from November, would produce around 4,800 MW of electricity. Of this, 2,500 MW would go to South Africa while another 1,300 MW would be earmarked for use by mines and related industry in the province of Katanga. “There is little indication that the dam development schemes underway would address the issue of access to electricity for the population at-large; industrial users stand to be the primary beneficiaries,” Maurice Carney, executive director of Friends of the Congo, an advocacy group here, told IPS. Carney and others are calling for a cumulative assessment of the Grand Inga scheme, to include study of all social and environmental impacts. Indeed, these have been longstanding concerns, but now some development advocates worry that greater private sector involvement in the Inga III project will further exacerbate such issues. “We have questions about whether the scheme can deliver any development at all in the hands of the private sector,” Joshua Klemm, manager of the Africa programme at the Bank Information Center, a watchdog group here that focuses on the World Bank, told IPS. As the Inga III project picked up momentum in recent months, USAID too expressed its interest in the proposal. The agency’s administrator, Rajiv Shah, visited the Inga III dam site in mid-December, and stated that the proposal could be added to a new, large-scale initiative by the United States to significantly increase electrification across Africa. Although USAID was unable to comment for this story by deadline, any involvement by the agency in brokering a deal with the IFC would be interesting. Just last month, the U.S. Congress passed a landmark new law requiring the U.S. Treasury to formally vote against multilateral funding for large-scale hydroelectric projects in developing countries.